Thomas Carl Baumgartner was a loving family man, age 82, of Imperial, formerly of McKees Rocks, passed away on Friday, October 26, 2018 at Ohio Valley Hospital. He was born in Pittsburgh on October 3, 1936, one of 5 children to the late Carl and Catherine (Blaser) Baumgartner. In 1960, Thomas married Mary (Muller) Baumgarnter. They had 49 beautiful years until her passing on December 27, 2009. In addition to his wife, Tom was preceded in death by his son in 2007, Timothy Baumgartner, his Granddaughter Casey in 2006, both sister and brother in 2016 Mary Agnes Litfin and Edward Baumgartner and sister, Joanne Baumgartner. Tom is survived by his loving children Thomas Baumgartner, Jr., Linda Baumgartner, and Jill (Terrance) Burke; his sister Norma Siry; also, several nieces and nephews. 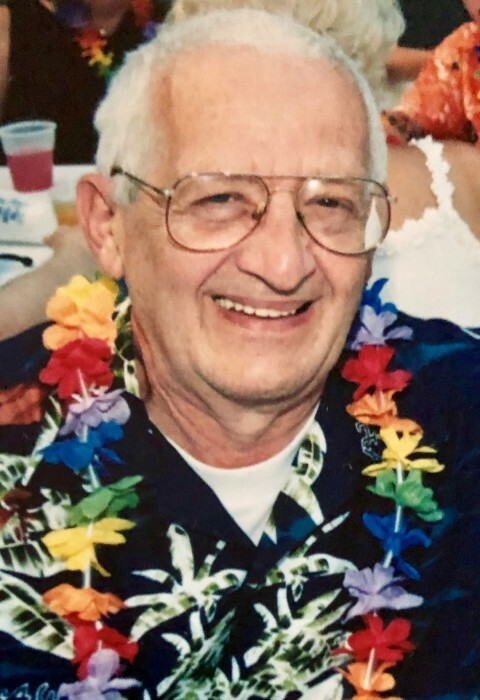 Thomas loved trains and for 25 years, worked as an administrative assistant for the P & LE Railroad, collected miniature trains, took his children on train vacations and collected books about trains. He proudly served in the United States Navy as the assistant to the Admiral, touring in Japan and Australia and stationed in Guam. Thomas loved animals and nature, planting trees, flowers, and working in his yard. He was an artist who loved to paint. He will be remembered for his infectious laugh that could put a smile on everyone’s face. A graveside service will be held in springtime at St. Joseph Cemetery with Father Frank Kurimsky and Military honors. In lieu of flowers, family suggests donations to an animal charity of your choice.